In his second article on fatigue for RTM, Chris Langer explains why the effective management of fatigue is so important. There’s no blood test for it. You can’t be breathalysed for it. But the effects of fatigue on our ability to remain alert and do our jobs properly compare with those of alcohol. Fatigue has also been cited as a big contributor to major accidents in several different industries, so tackling its effects should be on every manager’s agenda for improving safety. In terms of how it may contribute to major accidents, fatigue can sometimes prove to be an elusive factor to pin down. Fatigue is implicated in the nuclear accident at Chernobyl in 1986. The catastrophe began at 1.23am as the result of human error, which led to one of the reactors being placed in a volatile state. It is difficult to draw any firm conclusions about the contribution of fatigue-related errors in this particular case, but generally speaking, such errors are far more likely to occur at night. The mental alertness of the Chernobyl operators would naturally have been much lower at that time of night, than in normal waking hours. This is largely because we’ve evolved a ‘circadian’ rhythm which affects our physiological processes over the course of a day - we simply aren’t at our best at night. We have more substantive information about the role of fatigue in the Challenger space shuttle disaster on 28 January 1986. 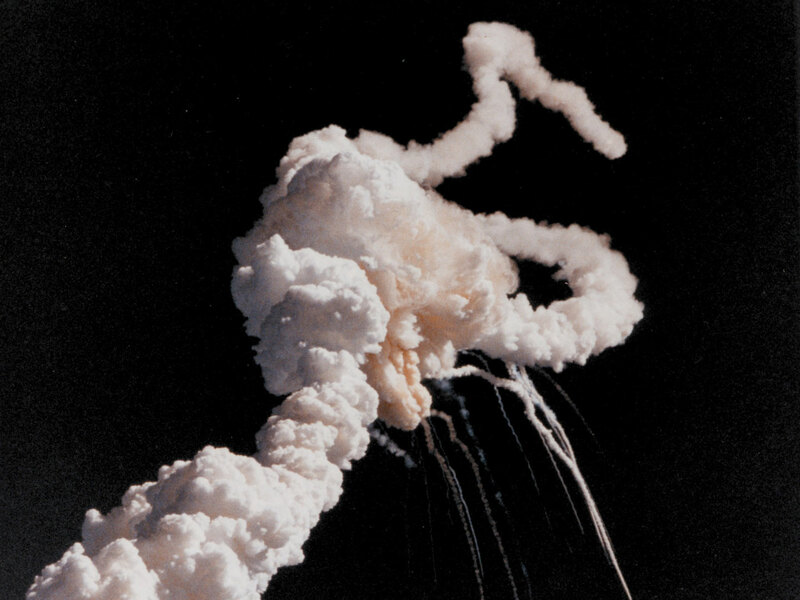 The shuttle broke up just 73 seconds after launch, killing all seven crew members. Warnings about launching the shuttle in the low temperature that morning were ignored. The immediate cause was the failure of the O-ring seal which allowed pressurised burning gas to escape, but some of the key managers involved in the launch had obtained less than two hours’ sleep the night before. The Presidential Commission’s report cited the contribution of human error and poor judgement related to sleep loss and shift work during the early morning hours prior to launch. The same report also cited the role of fatigue in the near-catastrophic launch of the Columbia space shuttle just days earlier. No less than 18,000 pounds of liquid oxygen were accidentally drained from the shuttle’s external tank a few minutes before launch on that occasion. Disaster was narrowly averted - the liquid oxygen loss went undetected until just 31 seconds before lift-off. It was the console operators’ third day of working 12 hour night shifts, and they had been on duty 11 hours at the time of the critical error. Long, consecutive night shifts produce an environment where mistakes are easily made. Closer to home, the Clapham Junction Rail crash in 1988 was responsible for 35 people losing their lives and 500 being injured. A signal failure caused by a wiring fault might not immediately spring to mind as fatigue related, but the signalling technician responsible had worked a seven-day week for the previous 13 weeks – in all that time he had only had one day off. One day off in 13 weeks! Many other failings at a supervisory and management level were uncovered by Anthony Hidden’s report into the crash, but the technician’s fatigue was a significant contributory factor. In Hidden’s words, the constant repetition of weekend work ‘blunted his working edge, freshness and concentration’. There is a pervasive ‘sleep arrogance’ in modern working life. Sleep deprived individuals do not perform at anything like their best, whatever the cultural norm suggests. We think we can effectively override the body’s biological need to sleep, ignoring the fact that our bodies are the product of thousands of years of evolution and require a decent amount of rest. There is a direct relationship between a lack of sleep and fatigue. Nevertheless, many industry efforts, in the railway and beyond, focus on tackling the symptoms rather than squarely addressing the underlying issue. We may need to return to the basics for effective fatigue management. The first line of defence against fatigue is undoubtedly sleep optimisation. In fact, this is the key message from the book Fatigue in Aviation: A Guide to Staying Awake at the Stick by Caldwell and Caldwell. Their excellent, well-researched book contains many lessons for fatigue management which easily cross the domain into other industries. There is clearly a lot to learn from the aviation industry where jet lag is a byword for fatigue. A key research finding is that the performance of most individuals will suffer if sleep is restricted to just six or seven hours’ sleep. Yet a great many people will now say that this amount of sleep is the norm for them, rather than the exception. We are simply trying to cram far too much into our busy schedules, sacrificing sleep for lifestyle. Prevention is always better than cure, so collectively we need to focus on ways to better educate people about sleep. Much of the time, fatigue management focuses on addressing the consequences when there is actually limited scope for correction in an operational context. The horse has already bolted when we resort to attempting to spot fatigued colleagues when they sign on, though this may be the only effective last resort. A track worker might feel fine when he signs on, and even look fine. But the cumulative effect of nights of six hours’ sleep will impair vigilance and decision-making - perhaps not immediately, but later on in the shift. Is ‘sleep education’ the missing link in fatigue management? A new level of industry engagement is therefore required to tackle the root causes of a problem encouraged by modern lifestyles. Effective ‘sleep education’ is essential. Concentrating predominantly on the symptoms can only ever be half the fatigue management equation. A reluctance on the part of employers to educate employees on the nature of sleep, and what may be best for the human body, perhaps exists because providing such guidance crosses the boundary between work and home. The ‘absoluteness’ of the work-home boundary is being challenged routinely, so it is probably a good time to re-think the approach to fatigue management. If employers provide a forum for the ‘facts on sleep’ to speak for themselves, tangible benefits could be achieved at work and at home. I heard it suggested at a recent conference on fatigue that this could be achieved in a non-directive, facilitative way by utilising the skills of ‘sleep experts’ from outside the industry. Such an approach needn’t have any Orwellian, ‘big brother’ overtones if implemented correctly. The potential prize is a safer, happier workforce, with less exhaustion experienced at home. Confidential reporting provides a window on the largely hidden world of fatigued railway staff. Fatigue is often as pervasive as it is under-reported. Fortunately, when they talk confidentially in a blame-free atmosphere, staff are able to admit to how fatigued they really are. This information is rarely conveyed completely honestly through internal reporting channels. How many train drivers, for example, would admit to micro-sleeping at the controls to their manager? Could a track worker voice a concern to their manager about being fatigued behind the wheel on a two-hour commute home after a long shift? Confidential reports often capture the issues employees find too difficult to raise in the workplace, issues that are otherwise in danger of falling through the cracks. When confidential reports from fatigued staff dry up completely, we may be able to conclude that real progress has been made. In the meantime, reports of this nature indicate that the management of fatigue could be improved. Caldwell, J. and Caldwell. J. (2003). Fatigue in Aviation. A Guide to Staying Awake at the Stick. Aldershot: Ashgate. Hidden, Anthony (1989). Investigation of the Clapham Junction Railway Accident (PDF). Department of Transport. ISBN 978-0-10-108202-0. Retrieved 1 May 2015. Rogers Commission (June 6, 1986). Report of the Presidential Commission on the Space Shuttle Challenger Accident. Retrieved 30 May 2015.